(17/P20) TRENTON – Ortley Beach in Toms River, one of the most exposed and vulnerable stretches of New Jersey’s coastline, will be the first beach to receive sand protection for the long-awaited northern Ocean County beach and dune construction project, Department of Environmental Protection Commissioner Bob Martin announced today. The project contractor, Weeks Marine, will start pumping sand in Ortley Beach in mid-April, marking the start of work on northern Ocean County’s beaches, hammered by Superstorm Sandy in October 2012. The U.S. Army Corps of Engineers is conducting a $128 million project to build beaches and dunes in northern Ocean County. Ortley Beach, which sustained catastrophic property damage from Superstorm Sandy, will receive approximately 267,000 cubic yards of sand, creating an approximately 225-foot-wide beach over the course of two weeks next month. The beach fill project will occur just prior to Weeks Marine beginning work for the Absecon Island beach and dune construction project in Atlantic County. Dune and beach construction work for Ortley Beach will resume in the fall. Work on other beaches in northern Ocean County will take place during the summer and into early next year. Weeks Marine was recently awarded contracts for both the Absecon Island and northern Ocean County storm damage reduction projects, with scheduling based on the availability of dredges. The Cranford-based company will utilize multiple-suction hopper dredges, which are ships that pull up large volumes of sand from offshore before maneuvering closer to the beach for pumping onto beaches. They will also use a cutter-head dredge, which is a large barge that sits offshore and pumps sand continuously onto the beach by way of a pipeline. Weeks will work in 1,000-foot-wide sections of beaches at a time to minimize impacts to residents and visitors. Engineered beaches and dunes absorb and block the impacts of storm surge while helping to protect lives, property and infrastructure. Northern Ocean County’s Barnegat Peninsula was hit especially hard when Superstorm Sandy slammed the state. The ocean breached the peninsula in Mantoloking. 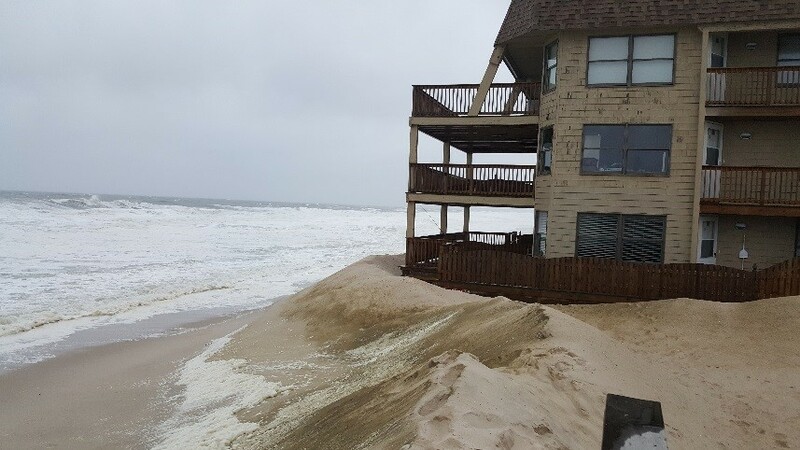 Record storm surge caused significant damage to most beaches along the northern Ocean County coast. Homes, businesses, piers, boardwalks and infrastructure – including State Route 35 – were destroyed or severely damaged. The schedules for Bay Head, Point Pleasant Beach and Berkeley Township will be determined as necessary outstanding easements are obtained. 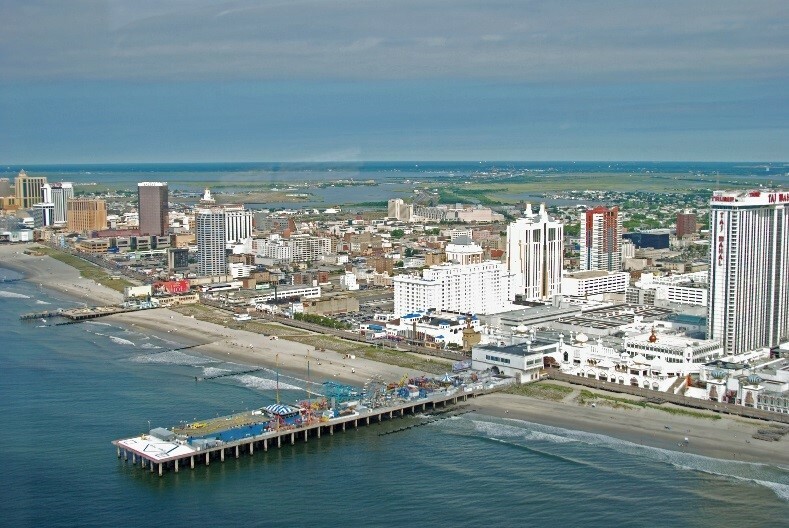 The $63 million Absecon Island project covers 8.1 miles of shoreline in Atlantic City, Longport, Margate and Ventnor. The Ventnor and Atlantic City portions entail replenishment of beaches already designed to Army Corps’ standards. The Longport and Margate sections involve new construction to bring beaches to Army Corps standards. Beaches 200 feet wide will be constructed and dunes will be restored to an elevation of approximately 15 feet above mean sea level in Atlantic City. Longport, Margate and Ventnor will get 100-foot-wide beaches and dunes that are nearly 13 feet above mean sea level. Atlantic City will see fill placed from Oriental Avenue to Jackson Avenue, as well as five outfall extensions or repair. The plan also calls for 0.3 miles of seawall and bulkhead construction along the Absecon Inlet frontage of Atlantic City. All construction schedules are estimates that are subject to change based on the availability of dredges, mechanical issues, weather and other factors.